We have global warming to thank for an increase in the rate of bug bite related infections. Bugs thrive in warmer climates, including ticks that carry the potentially fatal Lyme disease and perhaps even flu bugs. As winters shorten, ticks are showing up earlier each year and leaving later. As a result, the number of cases of Lyme disease has doubled in recent years. And not just insect bugs but also sick bugs are on the rise. With January 2013 seeing the highest rate of flu doctor visits in more than ten years, an epidemic has been declared in 44 states so far. The symptoms are far worse than in past years and the flu shots did not seem to cover the strain that is affecting most flu sufferers. In fact, even many of those who are not sick with the flu are still suffering from the worst cold on record in years. And to make matters worse, the peak of flu season is not even here yet, based on past years’ peaks in early February. One might surmise that given the warmer temperatures we have experienced this winter season, perhaps less germs have died. If so, perhaps more germs were able to breed to create this new extreme strain of flu and cold that has people suffering for weeks on end this year. Cold and flu symptoms that normally last 5-7 days are lasting up to two weeks and beyond, even in people who are otherwise considered healthy. We can hope that a deep freeze and more quarantine from one another might help to reduce the extremely active nature of this sick bug. If you are not well, please rest as much as you can and stay away from others, as this flu and cold are both extremely contagious. Also drink lots of fluids to stay hydrated and push the illness through your body. And what about those other pesky bugs and insects? 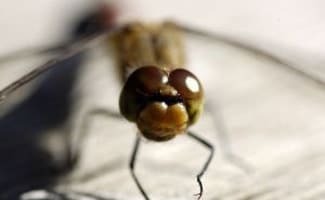 Just how dire is the effect of global warming on the increase of bugs and insects? Consider that West Nile Virus, Dengue Fever and Zika also require dry and hot climates to survive and spread. As warmer temperatures spread, diseases previously isolated to warmer regions will spread across continents and infect many more people, including those completely unready to receive treatment. You can protect yourself by using bug repellent, avoiding stagnant water, and checking yourself for ticks after being outside. A tick can roam around your body for hours before biting in, and will often find a place on your body where it won’t be readily visible (such as your back, or behind your legs, etc.). Insects such as the green shield bug (pictured above) is usually isolated to areas that include North America, the Mediterranean, the Middle East, Australia, and Africa. But a couple of years ago the bug started showing up in the United Kingdom – in areas that historically were too cold to support it. Despite it being regularly imported by travelers, it was always too cold of a climate to allow the green shield bug to survive. Not any more, and to the detriment of England’s framers, as the green shield bug is known to eat and destroy all kinds of crops. All living things are marked by their ability to adapt to the environment. Those who cannot adapt will eventually die out. Insects are living things and because of this, they follow the same rules. Some of the factors that impact how living things adapt are food supply, temperature, water supply, and population. Some of these things are relative to each other, which means that they have an impact on each other. For instance, a change in the population of flowers will result in a reduced population of bees in the area. The heat itself may not impact insects the way it does human beings. Insects do not sweat, but they do respond to the heat. You can witness this by listening to the buzz of bees’ wings inside the hive as they use their wings to try to cool the hive. Some insects actually thrive on the heat. For instance, you might notice that flies are more visible in warmer areas. Insects may have to adjust to the heat, but it is more the impact that the heat has on the environment than on the insects themselves which will cause a change in their behaviors. This year, the heat has been almost intolerable, but to make matters worse, there has been very little rain. The impact of this can be seen all around you as you observe the crops and landscaping that have been impacted by the combination of a lack of water and high temperatures. Insects are resourceful enough to go where they must and modify their eating habits to adapt to a food supply that is now more limited than in previous years. This can cause it to seem like there are less insects than usual, but in reality they may have just changed location to better serve the dietary needs of their population. Insects have preferences too. They might prefer a flower’s nectar, but be able to survive on the sap of a pine tree. One of the most important aspects of the heat this year is the lack of water supply that accompanies it. Many insects like mosquitoes, lay their eggs on the surface of the water. If the water supply is limited, the insects will simply migrate to an area where it is not limited. This will result in the lack of a population in one area where the insect population is normally quite large, and an increase in the insect population in another area where the insect population is normally meager. How Does the Insect Adaptation Impact Us? Believe it or not, we need insects to fully complete the cycle of our environment. For instance, consider your garden. While insects can do damage to your garden, they also help it by eating nutrients in the soil and leaving their waste behind. However, these insects also need a water supply, which means they may have to go deeper into the soil to get moisture during a drought. Or, they may vacate the area altogether in search of water. Since they are so small, they may be able to survive off the dew on the plants, but may not thrive as they usually do. Even the insects that are harmful to you and things like your garden are also helpful to the planet because they are part of the circle of life. Many birds live off of insects. Larger animals live off the birds and even larger animals live off of the animals that eat the birds. Humans consume the largest of these animals, so the insect population can have an impact on us in this manner. Why Have Some Insect Populations Grown? Just as the heat and drought in general may cause a decrease in the ability of insects to reproduce, the weather before the drought caused an increase in the population of other insects. For instance, ticks are more numerous than usual. The early spring caused them to come out of their dormant stage early and begin reproduction early. Because of this, there has been an increase in the tick population, making them almost desperate in their need to seek out a food supply. The weather has an impact on even the smallest of organisms. Some bacterium and viruses thrive on the cold, while other thrive on the heat. The mild winter that we experienced before the spring caused an increase in the population of several viruses and bacterium. This is because these organisms lay dormant during cold times, and then become more active and populous when it gets warmer. Such organisms are now thriving because they are experiencing the perfect conditions for reproduction. Insects are known for their ability to transport disease in the form of viral and bacterial infections. What this means for humans is that we need to show extra caution when outdoors. Insects who cannot meet their survival needs in areas that are not densely populated will migrate to more populous areas. They will then be able to infect humans directly or indirectly as they infect the animals that humans consume breed, or just have as pets. You need to be extra careful this year. Make sure that you are not accidentally supplying a food source for dangerous insects to thrive in. Wear protective clothing or some other type of protection when you are going to be outside. Keep your pets and family up to date on their shots. Check yourself, your family, and your pets on a regular basis to make sure there are no ticks thriving in anyone’s personal space. Monitor the amount of water you leave out. While you should keep fresh water outside for the animals around your home, stagnant water is the perfect breeding ground for pests. In fact, you may even want to add a bit of vinegar to your dog’s food dish to keep bugs at bay. So far in this article we have addressed the effects of summertime and global warming on insect and bug populations, but are we free and clear when it comes to winter time? According to the National Wildlife Foundation, global warming is having a varied effect on weather across the United States particularly. On average winters are being cut shorter and what winter weather we do experience is much milder than it once was. This seems strange in comparison to the drastic changes that global warming has had on hurricane and flood activity. Areas that are referred to by the National Weather Service as “snow belt” areas are still experiencing snowstorms and areas to the North of these snow belts are even experiencing harsher weather but as polar as these effects are, they all influence bug and insect activity. According to data collected by the National Wildlife Foundation, springtime has been arriving an average of 10 to 14 days earlier than it did some 20 years ago. This arrival of springtime is preceded by an increase in temperatures that range from 1 degree to 6 degrees Fahrenheit throughout the United States. These warmer temperatures and longer spring times caused by shorter winters all impact the activity of insect groups that take their cue from external temperatures. Many variations of insects such as lady bugs, green bottles, blue bottles and house flies will hibernate in warm crevices during the winter. Once temperatures rise to around fifty degrees however, these insects will take their cue to mill around. Other insect types such as the June bug, young queen bumblebees and most ants will hibernate underground during the colder months to avoid freezing temperatures. As temperatures increase however, these insects are lured above ground. Where global warming during summers are generally bad for people due to the increase in disease carrying insects, global warming winters are bad for both insects and people. Global warming’s impact on winter weather often results in winters that are periodically warm and then cold. This variation in temperature often leads to hibernating insects coming above ground mistakenly believing that spring is upon them, only to freeze when the warm spell is over. As these fluctuating temperatures kill off bug populations many beneficial insects are affected by dwindling populations. This decrease in certain bug populations leads to fewer of them at the beginning of spring, a time when many of these insects are beneficial to nature. Take for example young queen bees. Warmer snaps during winter that kill off young queen bees result in fewer queen bees to build hives in early spring, a time when large numbers of bees are needed to pollinate flowering plants. As fewer bees are available to pollinate, humankind suffers as well as many of the basic foods that we rely upon require pollinating and with fewer bees, there are fewer of these foods available during these years. Milder winters that also come as a result of global warming are causing havoc for human populations as well. As warmer temperatures arrive earlier, many insects are able to expand in to more Northern states in the United States. Where usually these insects would be “kept in check” by frosts and colder temperatures as weather warms up these insects are now able to travel further north. This has a negative impact not only because of the effect these insects will have on local crops, but it also poses health risks to people in these areas. Areas that did not have to be worried about Lyme disease during colder months now have to be concerned about it as the ticks responsible for carrying this disease expand their range. We have already addressed the fact that warm snaps during winter can greatly impact the pollination of plants; however, plants and crops also suffer from milder winters. As temperatures increase during winters, increasing numbers of pest insects become active and expand in numbers. As they do, they all require food sources which include trees, plants and crops. These larger insect populations will feed on these sources and often destroy them completely. One example of this type of decimation is the pine bark beetle that has managed to infest pine forests in Alaska, the Western United States and Canada. The milder winters that are now upon us, in addition to the rapid cycling temperature changes, are not something that we can find a short-term solution to. What we can do however, is control the side effects that are caused by these things while also treating the cause of these symptoms in the first place. As an eco-conscious individual it is up to you to not only contribute to a healthier planet and reduce the effects of global warming, but also do what you can to help the planet along in the healing process. One such step that you can take is educating yourself about local insect populations and watch for early signs of these bugs when warmer winter weather shows its face. Local pests should be controlled using environmentally friendly methods and local crops, plants and trees should be protected against infestations. There are many natural solutions that can be used to target pest insect populations so that crops, plants and trees can be allowed a reprieve from newly awakened bug populations. These solutions can be purchased from your local eco-friendly grocery store or gardening center. Be sure to know what pest insects you are protecting against and make sure that you are not discouraging healthier insect populations. It is also crucial to be aware of the potential for illness and disease as carried by insects like ticks during warmer winter months. As these insects become more prevalent in larger territories, the potential for them to spread Lyme disease is growing. Always check family pets for ticks and check each other after spending time outdoors as well to prevent the potential for developing this awful illness. Data centres are major power users with considerable carbon footprints. Such huge clusters of servers not only require power to run but also power to be cooled. It’s estimated that data centres, which house internet, business and telecommunications systems and store the bulk of our data, consume close to 4 percent of the worlds power supply. See datacentredesign.co/elec-requests.php for details. You know what the bad part of global climate change is? Well, everything. But the part about bugs and insects makes the whole thing just that much worse, really. Instead of being able to combat local pests in organic or natural ways, new invasive species like the green shield bug are popping up all over and taking a huge toll on crop production. The green shield bug is but one species in an ever-growing number of invasive or more pervasive bugs that we can attribute to global warming. Mosquitoes, carrying diseases like malaria, are also becoming more common earlier in the year and living until later, and they are leaving much more destruction in their wake because of it. Ticks, same thing. Lyme disease used to be relatively uncommon, but now more cases are popping up than ever, and much further north than cases had been seen before. If the presence of pests is not something that is getting your attention, it definitely should. Maybe the other warning signs like the ocean rising an inch every year can be ignored, but bugs are annoying, biting, buzzing, crop and flesh-eating, disease-carrying evidence we need to change our ways. I recently read that the number of West Nile cases has hit an all-time high. Not only that, but we’re closing in on almost 100 dead from the virus. As temperatures continue to rise, we will more than likely continue to see the number of cases rise as well. We will probably also see the length of the mosquito season lengthen in many areas across the United States. As fall and winter become shorter and shorter, there’s a good chance that not as many mosquitoes will die out during the colder months. This could mean a huge increase in the population. I’ve noticed around our home that bugs we never had a problem with have become a huge problem. One of those bugs is the box elder bug. It was only a couple years ago that I began to see them in our home, but the numbers increased drastically. They were soon taking over our home. Thankfully, this year isn’t as bad as last year, but I can only assume that global warming is to blame. We had a much cooler summer here than normal. While most summers are in the upper 90s and low 100s, we spent most of the summer in the upper 80s. Hopefully, this means a colder winter and that more bugs will die off. I must admit to being a little shocked about this. Bugs are not the first things that comes to mind when I think about the crisis of global climate change, but it does make a lot of sense. Just recently, I heard an article on the radio about how mosquitoes were breeding earlier and living longer because of the warmer weather in a lot of places. So of course that makes sense that there would be more more mosquito-borne disease outbreaks, and now this article brings up the fact that tick-borne diseases might also become a problem. I live in an area where there have not been many cases of tick disease for a long time, so it hit home that there might be communities all over that are not prepared to handle even one or two cases of tick-borne illness. I would like to know more about this green shield bug that was mentioned in the bottom of the article. I have a gut feeling after learning all of this that there might be a lot more invasive or pest insects staying around longer as the global climate gets warmer. You know, it’s things like this that are going to make the people stand up and notice. People that aren’t really that interested in the environment are going to start to realize that things are changing and if I don’t do something quick, things might get uncomfortable. Creature comforts are hard to lose and when bugs are flying around with deadly diseases, you want that to stop fast. I’m surprised that this is the first I’m hearing about this story. I would think that it would be on the evening news. I haven’t heard of Dengue Fever before either. Thanks for giving us some tips to avoid the sicknesses that can come from these types of bug attacks. It is also interesting that dry heat is what is attracting a lot of these bugs. When I think of bugs, I think of moist heat, but that is mainly because I am from the south. However, when I think about places like Arizona and Nevada, the last thing I think of is an increased number of bugs. This is useful information and I wish more people cared enough to read about the environment. I live in the mountains, so the bugs have always been bad here. However, I have noticed the past two years that the bugs have gotten worse. When we first moved to the mountains, we had small ants that would invade our home each spring – they were tiny ants. Now, we have large carpenter ants to deal with. These things are huge. Not only that, but we’ve experienced different types of bugs invading our home, not just the ants. Currently, the area I live in is actually experiencing below average temperatures. It was one of the coolest summers I remember. I really do hope that means we’ll have a colder winter and maybe it will kill out many of these bugs. The past few winters have been rather mild, which means the bug population has continued to grow. I can’t even imagine what it must be in places like Florida. The weather is so strange anymore it’s hard to know what to expect next. I would assume that if the temperatures continue to be warm throughout the winters, we will see an increase in rodents as well. We may also see pests that were once only seen further South moving further North. Whoa, that is some bad news alright. I already hate mosquito bites at the frequency they occur at now. I really would not like for them to increase. Global warming for me has always reminded me of melting glaciers and stuff. I never really thought of the other ecological side effects global warming. Now that I have read the article, I really wish global warming will become an accepted fact by everyone. When everyone understands that it’s a reality, we can all work to remedy it. But because it is so hotly debated and refuted, progress as the remedying process is being stalled. I just hope that global warming does not get so out of hand that it will become too late to do anything about it. I suppose it would make sense to move to colder climates, if things reach an endemic level. Perhaps, more people will be jostled into doing something to reverse global warming once these side effects are a bit more publicized. Everyone might not understand or believe in the glacial melting or temperature rises caused by us humans, but I am sure they will understand and care about and increase in these lethal and fatal diseases. I grew up in a pretty diverse climate area where we had very cold winters and generally very warm summers. Most recently, we have had one of the most warm years I think anybody can remember. The winter, which is typically very cold and very snowy, was unseasonably warm this year and we had very little snowfall compared to years past. The summer, has been exceptionally hot for the most part and it has been both dry at times and very rainy, but I would not categorize the precipitation as being unusual for any extended period of time. What has been strange though is the amount of insects we have seen spawn this spring and summer. I have to believe because we have had a longer amount of spring and summer, meaning it has just been warmer for longer, the insect population has had an opportunity to truly thrive. There seems little reason to me to doubt that this is going on all over the world and global warming is playing a significant role. Warmer air and more of it means more bugs. I knew someone who had Lyme disease, and because of that, I had a much better perspective on just how bad this disease can really be. People do not necessarily grasp the seriousness of it, but it is definitely still deadly without proper treatment, and can be a chronic illness that is very detrimental. The person I knew who had it was a classmate, and she had to drop out for a while because of her illness. Even though Lyme disease does not sound so bad when put next to West Nile or dengue fever, it is a still a huge problem, and one that is much closer to home in the U.S. Protecting yourself is key! Knowing someone with the disease made me extra vigilant about checking myself and making sure to wear repellent. The article did not mention this, but knowing the symptoms of Lyme disease, such as bulls-eye rash, joint pain, fever, and fatigue can help you with treatment if you suspect you may have been bitten. Checking for ticks after being in a potential tick zone is of utmost importance, since the risk of disease is much greater the longer the tick stays attached. In my area I was expecting to be overwhelmed by mosquitoes this summer. I live between two rivers and have ditches nearby as well. However, I do not think I have been bitten once this year. I even have a pool in my back yard, which I thought might make the problem worse. Since I just moved here, I have not planted any of the plants that mosquitoes don’t like to be around, but I had planned to do it next year. Now I am wondering if I even need to bother. Don’t get me wrong; I’m glad I did not have to worry about being able to sit in my back yard. I just think that it is a sign of worse things to come. Our ecosystem will adjust itself so that life can go on. I know there are animals that eat these kinds of bugs, like bats. Now I have to wonder what those animal have been eating and how that is going to impact the ecosystem. This has just been a bizarre year from day one. I really thought we were going to have a harsh winter. When that didn’t happen, I assumed we were going to have a terrible summer. I was right about that. But now, I have to wonder what winter is going to be like. I’m worried that it’s going to be like summer and we aren’t going to get any snow without a full blizzard. I have noticed a distinct increase in the number of insects in the area and it is definitely coming on the heels of one of the most mild winters I can ever remember. Mostly, I have noticed a distinct rise in the number of wood ticks that I am finding on myself after a seemingly short amount of time spent outside and in the woods. I think the last time I went out for a walk with my dog, I pulled about four or five of the bugs off of me and another three or four off of the hound. Normally, I would find one or two on both of us after a short forty five minute hike through the trees. This is particularly disturbing because these ticks do carry the potential for contracting Lyme’s disease which is dangerous to both me and my dog. There is little doubt that with the warmer temperatures earlier in the spring, this gave them much more opportunity to grow in numbers and become such a serious threat. Hopefully, we will have a more natural winter season this year and give us some opportunity to catch up. As much as global warming may be argued as a political debate, there is no denying that the world we live in is rapidly changing and I do not just mean socially speaking. We have seen some of the most catastrophic natural disasters in recorded history take place in the last decade. Records have been set for both draught and precipitation in unusual places in the world and to say the least, everybody is talking about the changes. It stands to reason that with this climate change, other species are being affected as well and insects are a great indicator of dramatic change. Most insects are adept at living in exceptionally warm climates and need at least some kind of ambient warmth in order to function. Warmer climates mean a greater lifecycle for bugs and an easier environment for them to reproduce more often. With that lessening of attrition in the insect-community, more interactions with humans are bound to occur and the resulting increase in bites and subsequent diseases is to be expected. We must pay attention to these changes and devise a plan to slow the cycle. I live in the mountains and have definitely noticed an increase in bugs and insects. There have even been bugs infesting our home that we hadn’t seen before last summer. The real rub though is that the more insects people see, the more pesticides get used and it’s just a big, vicious cycle. I think more people should look for natural methods to keep insects out of their homes and rely less on the dangerous products that help contribute to the problem. I’ve tried a number of natural methods for getting rid of ants in my home – vinegar, lemon juice, cayenne, etc. The only problem with natural methods is that they seem to require daily use in order to work. I’ve looked at a number of natural bug killers on the market, but you do have to be careful because some aren’t as green as they claim. As someone with several pets, this is extremely important to me. I try to seek out products that use lemongrass or other natural products that can kill a number of pests. I also prefer pesticides that last for a long time, at least 3 months. I wish more people would consider the use of natural pesticides to help deal with the increase in bugs and insects. I don’t think most people realize just how significant this information is. It really just takes a simple thought to get it. Think about sitting in a room by yourself. Now take a look around you and see if you see any bugs. It’s even more realistic if you are outside. The fact is we are outnumbered. No, I am not about to go all freaky and start talking about the bugs taking over the world. What I am saying is that you can hardly avoid them anymore and that is dangerous. We live in five acres and we take walks in the woods all the time. Less than half of our property is wooded and we keep the yard and the path mowed. The dog goes with us when we go for a walk. On our return from the first walk, I found 2 ticks on me. I found 7 on the dog within the first week and we had skipped some days walking! This was in March, when ticks are not normally even a consideration around here. I’m just trying to point out that the signs are becoming more and more obvious and it is time to pay attention. thanks for sharing – very good!